and hasan ahaadeeth (Prophet (ﷺ)'s sayings), and some also contain da'eef (weak) reports. must accept everything that has been narrated to us from the Messenger with a sound and continuous isnad as a historical fact, and entertain no doubts concerning it. The Orientalists with their ulterior motives, and their followers among the Muslims who have little or no religious commitment and who have been deceived by the west and its scholars into casting aspersions upon the authenticity of the books of Sunnah that they have before them, want to destroy the shari'ah thereby and instill doubts about the events of the Seerah. But Allah, Who has guaranteed to protect His religion, has motivated some Muslims to refute their falsehood and turn their plots against them. In my book As-Sunnah wa Makaanatuha min at-Tashree ' al-Islami I discuss the efforts of our scholars in examining and studying the Sunnah of the Prophet (ﷺ), and I expose the specious arguments of the Orientalists and their followers, and subject them to academic criticism. I hope that Allah will reward me for this work and make it among the record of my good deeds on the Day of Resurrection. One of the matters concerning which there can be no doubt is the fact that the mushrikeen attacked the Messenger and his message on the lips of their poets, which forced the Muslims to refute them on the lips of their own poets, such as Hassaan ibn Thaabit, 'Abdullah ibn Rawaahah and others. The books of Arabic literature and the Seerah, which were subsequently written, include a great deal of this poetry, from which we are able to deduce much information about the environment in which the Messenger lived and the call of Islam developed at the very beginning. The events of the Prophet (ﷺ)'s life were narrated by the Sahaaba (may Allah be pleased with them) to those who came afterwards. Some of them devoted particular attention to seeking out information on the details of the Seerah. Then the Taabi'een (followers of the Companions) transmitted these reports and compiled them in books, and some of them devoted particular attention to this, such as Abaan ibn 'Uthmaan ibn 'Affaan (may Allah be pleased with him) (32-105 AH) and 'Urwah ibn az-Zubayr ibn al-'Awaam, 23-93 AH). Among the lesser Taabi'een there were 'Abdullah ibn Abi Bakr al-Ansaari (d. 135 AH); Muhammad ibn Musliim ibn Shihaab az-Zuhri (50-124 AH), who compiled a book on the Sunnah at the time of 'Umar ibn 'Abdul-'Azeez, by his command; and 'Aasim ibn 'Umar ibn Qutaadah al-Ansaari (d. 129 AH). who criticized him. Many of the scholars attribute the criticism of these two great scholars to personal enmity that existed between them and Ibn Ishaaq. Ibn Ishaaq wrote his book Al-Maghaazi based on ahaadeeth and reports which he had heard himself in Madeenah and Egypt. Unfortunately, this book itself has not come down to us; it is part of our rich intellectual heritage that has been lost. But the contents of his book remain preserved in the material that Ibn Hishaam narrated from him in his Seerah, via his shaykh Al-Bakaa'i, who was one of the most famous students of Ibn Ishaaq. His full name was Abu Muhammad 'Abdul-Malik ibn Ayyoob al-Humayri. He grew up in Basrah and died in 213 or 218 AH, according to different reports. Ibn Hishaam wrote his book As-Seerah an-Nabawiyah based on the material that his shaykh Al-Bakaa'I narrated from Ibn Ishaaq, and on the material that he himself narrated from his shaykhs, but Ibn Ishaaq had not mentioned it in his Seerah. He omitted the material that Ibn Ishaaq had narrated if he did not find it acceptable. So he produced a book that is one of the most comprehensive, sound and detailed sources of the Prophet (ﷺ)'s biography. His book was so well-received that people called it after him, and dubbed it Seerat Ibn Hishaam. Commentaries on his book were written by two scholars from Andalusia, As-Suhayli (508-581AH) and Al-Khushani (535-604 AH). His full name was Muhammad ibn Sa'd ibn Manee' az-Zuhri. He was born in Basrah in 168 AH and died in Baghdad in 230 AH. He was a scribe for Muhammad ibn 'Umar al-Waaqidi (130-207 AH), the famous historian of the Prophet (ﷺ)'s battles and campaigns (maghaazi) and biography. In his book At-Tabaqaat, Ibn Sa'd mentioned the names of the Sahaabah and Taabi'een - after outlining the biography of the Prophet (ﷺ) - according to their status, their tribes and their locations. His book At-Tabaqaat is considered to be one of the most trustworthy primary sources of the seerah, and the best in preserving the names of the Sahaabah and Taabi 'een. 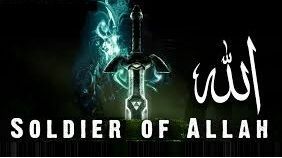 His full name was Abu Ja'far Muhammad ibn Jareer at-Tabari (224-3 0 AH). He was a faqeeh and muhaddith and the founder of a school of fiqh that did not spread very widely. His book of history was not limited to an account of the life of the Prophet (ﷺ), rather he also wrote the history of the nations that came before him, then he wrote a separate section about the life of the Prophet (ﷺ) then, the history of the Islamic state until the time shortly before his death. At-Tabari is regarded as trustworthy in what he narrates, but he often mentions weak (da 'eef) or false (baatil) reports, attributing these reports to the narrators who were known at his time to be unreliable - such as in the case of his reports from Abu Mukhnif, who was a fanatical Shi'i (shi'ite), but At-Tabari narrated many of his reports attributing them to him, as if he is saying that this is not his narration but Abu Mukhnif's. The writing of the Seerah developed further. Some aspects of the Seerah were covered in books devoted to a single aspect of the Prophet (ﷺ)'s life, such as Dalaa'il an-Nubuwwah Al-Asbahaani, Ash-Shamaa 'il al-Muhammadiyah by At-Tirmidhi, Zaad al-Ma 'ad by Ibn Qayyim al-Jawziyah, Ash-Shifa ' by Al-Qadi 'Ayaad, and Al-Mawaahib al-Laduniyah by Al-Qastalaani on which an eight volume commentary was written by Az-Zarqaani (d. 1122 AH). The scholars are still writing books on the life of the Prophet (ﷺ) in the modern style that is more readily acceptable to people's tastes nowadays. One of the most famous books that have been written in our time is Noor- al- Yaqeenfi Seerat Sayyid al-Mursaleen by Shaykh Muhammad al-Khudari (may Allah have mercy on him). This book has been well received and is used for study in religious institutes in most parts of the Muslim world.